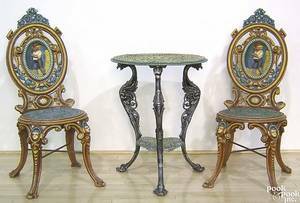 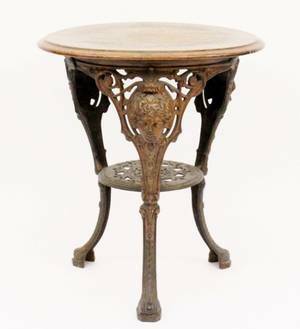 Late 19th C. English mahogany and cast iron table signed Birmingham, "Gaskell's Bar Fitters," with molded edge round mahogany top on three leg base with figural decoration and open shelf stretcher. 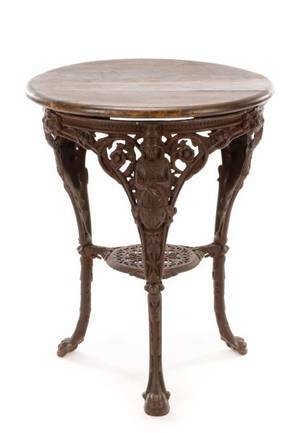 28.25"H x 14" in diameter. 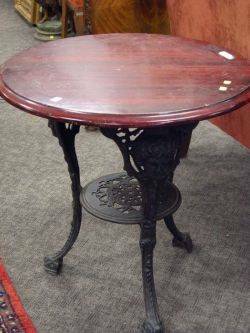 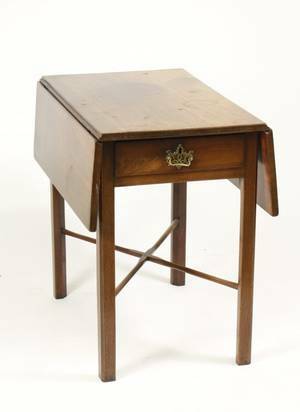 English Mahogany-top Cast Iron Pub Table. 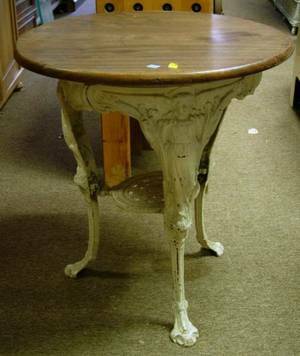 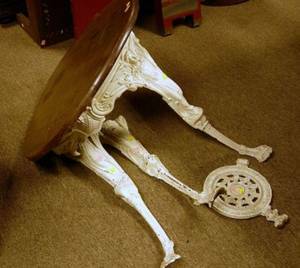 Victorian White Painted Cast Iron Pub Table. 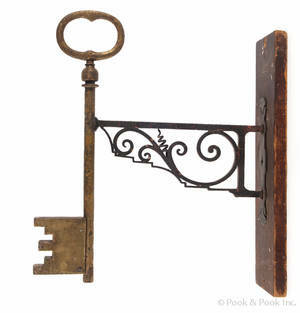 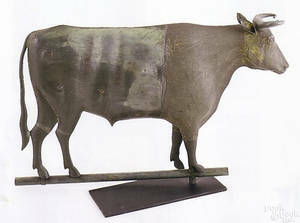 Howard cast iron and copper full bodied bull weathervane, late 19th c.
Large locksmith key trade sign, late 19th c.
Pair of cast iron garden chairs, late 19th c.
English brass and iron umbrella stand, late 19th c.